In today’s world, cybersecurity is necessary to ensure critical automation systems remain safe and fully operational. However, implementing cybersecurity controls is a very technical and labour intensive task. Article contributed by Honeywell. 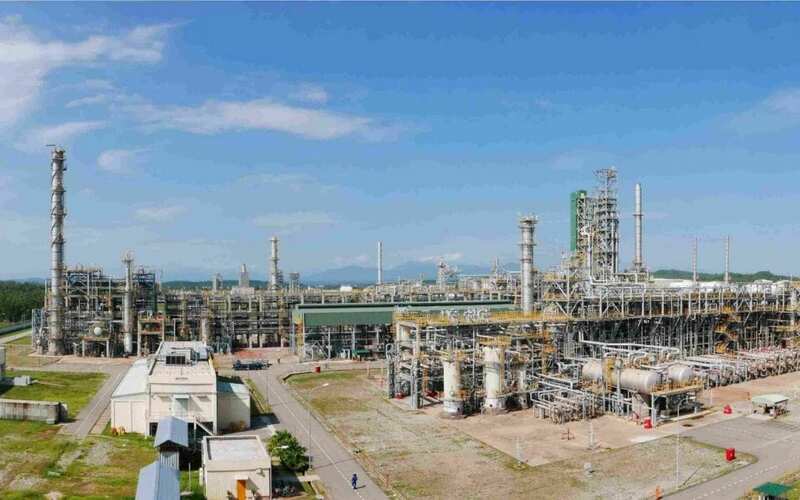 Binh Son Refining and Petrochemical Company Limited (BSR) is a member unit of Vietnam Oil and Gas Group (PetroVietnam), which is responsible for receiving, managing and operating Dung Quat Oil Refinery Plant. Her pioneering role lays the foundations for the development of the petrochemical industry in Vietnam and to train high quality human resources in this field. Located at Dung Quat Economic Zone of Binh Son district in Quang Ngai province, BSR’s processing capacity has reached 6.5 million tonnes of crude oil per year, with future expansion plan for upgrading to 8.5 million tonnes. BSR is a national key project with a total investment capital of over US$3 billion. Producing at 148,000 barrels a day the success of the Dung Quat oil refinery is key to the nation’s energy security, contributing to the country’s industrialization and modernisation. The last five years have seen relentless cyber attacks with greater intensity on the industrial automation sector. These range from theft and industrial espionage to terrorism and hostile state action. BSR, a long time user of Honeywell systems, has been with Honeywell’s Managed Industrial Security Services (MSS) since 2010. The MSS has helped reduce the risk of security breaches in BSR’s plant by providing ongoing monitoring of the site’s Process Control Networks (PCNs). However, being a critical national oil and gas infrastructure, BSR sees the need to go beyond just maintaining status quo but to further strengthen and fortify her current cybersecurity protection measures. In 2016, BSR set out to enhance her cybersecurity posture further by bringing her PCNs in-line to global industry cybersecurity standards. BSR’s R&D consulted with Honeywell’s cybersecurity experts on what further counter-measures are needed to elevate to the next higher level of cyber assurance and requested support to drive towards the objective. With Honeywell’s MSS, security updates in BSR’s PCN are today better managed and constantly kept up to date. And with the MSS’s Secure Connection, an authenticated and encrypted Virtual Private (VPN) for Honeywell dedicated support engineers as well as Honeywell subject matter specialists to remotely troubleshoot security and maintenance issues, the site has seen reduction of downtime and more responsiveness to issues before further deterioration. BSR’s management has expressed satisfaction with the high level of accountability of the secure remote support with its full recordings and audit-trail of all activities. MSS are today provided from three Security Service Centers located in three geographies at Houston, Bucharest and Singapore in a follow-the-sun model for higher scalability and more friendly customer time-zone support. The more intelligent reporting in the form of highly interactive monthly trending reports is able to quickly transform statistics into actionable resolutions. BSR has recently also implemented Honeywell’s Secure Media Exchange (SMX) to further strengthen her endpoint defences by managing USB removable media and ports against cyber risk and unauthorised usage. The user friendly interface enables safe, productive use of removable media and provides operators with unprecedented control and visibility into the secure use of USB and removable storage. Honeywell’s Industrial Cybersecurity Solutions help plants and critical infrastructure sectors defend the availability, reliability and safety of their industrial control systems (ICS) and plant operations. Honeywell’s suite of technology infrastructure services has helped enhanced Binh Son Refining & Petrochemical in securing the various aspects of her Process Control Networks. This has ultimately contributed to improved production uptime and also stability, reliability, and safety for the complex industrial plant.